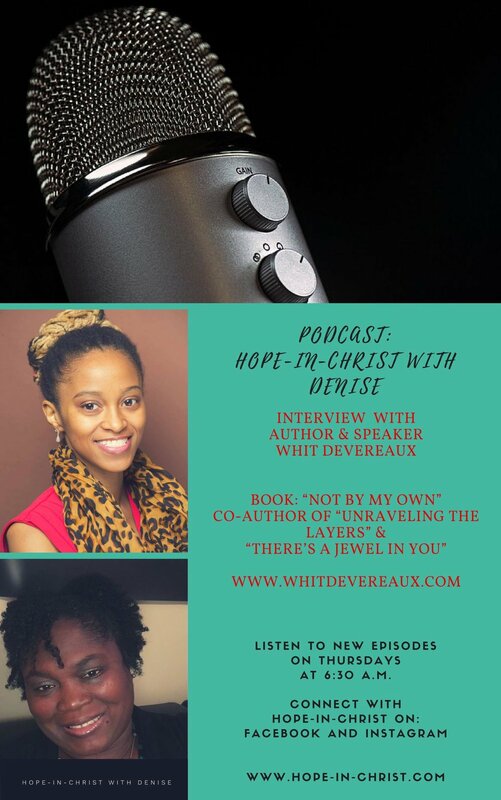 I was able to take her behind the scenes of the inspiration of "Not By My Own" as well as my new book release coming this Spring, "There's a Jewel in You, Volume 2." Most importantly we talked about how faithful God is to bring us through it all. No adversary and NO THING is too much for God to overcome. Click here to play this interview or download it below and let me know in the comments what part resonates with you and encourages you the most! P.S. I will be relaunching my membership community soon as a means to better support you in your healing and recovery. Click here to join the waitlist to be notified once it's live. As a Domestic Violence Survivor, I am able to coach you through your process and provide a safe space for you to rebuild your life. I can't wait for you to join!